With a big enough marketing and advertising budget, many businesses could just buy their way to the first page of the search results on Google, but sustainability may be difficult without a constant increase in investment. When it comes to local search, the work you do to improve organic results will have a long lasting and positive impact on your website traffic. The time you spend implementing sound SEO practices will save you money on advertising in the long run. Boosting local search results on Google is more than a matter of finding the right keywords and hoping for the best. Many of the tactics that used to work to drive organic traffic are no longer effective, and they can even hurt your rankings. Instead, read on to learn how you can dominate local Google search results with legitimate Search Engine Optimization (SEO) practices. You can reach new customers and prospects all over the world with your website, but unless your business is solely e-commerce based, focusing on local search results should be the hallmark of your SEO strategy. After all, 85% of consumers use the internet to find local businesses, and that’s not likely to change anytime soon. While there are many search engines for consumers to choose from, Google continues to be the first choice for the majority of internet searches. The most recent user data confirms that 64% of all searches on the web in North America begin and end with Google. These two statistics combine to give some pretty compelling reasons to focus your attention on Google properties when developing a local SEO strategy. When Google+ was first launched back in 2011, it was heralded as the answer to Facebook, and it was going transform the landscape of social sharing as we knew it. Things didn’t work out quite as planned when it came to those who use primarily use social media for personal updates, but Google+ was and still is a solid platform for business users, specifically because of the way it can improve local search rankings for your business. Customize the page with a proper SEO title that includes your company name, but don’t try to stuff it with keywords. That’s tacky! Be sure to set a custom page URL that also uses your business name, rather than the random string of characters that are auto-generated when you create an account. Create an accurate SEO meta description for your page that succinctly describes what your company does in 160 characters or less. Failure to complete this step means the first couple of sentences of your intro will appear in search results, rather than a carefully crafted statement. Set up authorship to lay claim to the content you create and share on Google+ to let Google know it’s yours. Information tied to verified profiles on Google+ will rank higher than that which comes from sources that are seen as less credible. Once your Google+ page is doing its job to help you make your way up through the search rankings, it’s time to focus your attention on another pillar of the wonderful world of Google, the “My Business” page. Google My Business is an amalgamation of what were once Google Places and Google+ Local. When you search for local businesses in Google, a map may appear as part of the results, with 2-4 listings, depending on the search terms you used. Search for your location and your company’s primary business function, not your business name, to see what comes up. The results that appear under the map are prime examples of companies who have mastered the art of local search. To apply the best practices of local SEO, ensure your Google “My Business” page is filled out with accurate information about your business. This is not the time to scrimp on information! Be sure to add the correct location, choose the right categories, and add eye-catching images that show off what you do best. Last but not least, keep an eye on your reviews! You can’t control what people say about your business, of course, but you can control how you respond. With all that we’ve said about making sure you’re catering to the search results in Google, you could be forgiven for thinking that’s all there is to dominating the local search results. But no! There is more work to be done to improve your online presence by completing a robust presence on your social media platforms. Google has always been very cagey about explaining how social media signals factor into the search results. However, there are a few methods used in getting the most out of your social media presence. The first thing to do is to ensure your profiles are complete. Pay attention to the subtle differences between platforms. For example, on Facebook, the “short description” has a 255 character limit, but only the first 155 will appear on your timeline. Be sure to look at where it cuts off when you publish the “About” section of your page. Remember, people will also use the search functions on social media to find product information and services, so make sure to pepper your social media status updates with relevant keywords. No matter where content about your brand appears online, it’s important to focus on its usefulness to your customers and prospects, rather than what the search engines will find. Keep in mind that while SEO will drive visitors to your website, meaningful content about your products and services and a fantastic user experience will turn those visitors into customers. No matter where you are, or what you do, your business will benefit when you find your way to the top of the local search rankings. By focusing your efforts on the areas that have the most impact on the dominant search engine, you can improve your results across all search platforms. 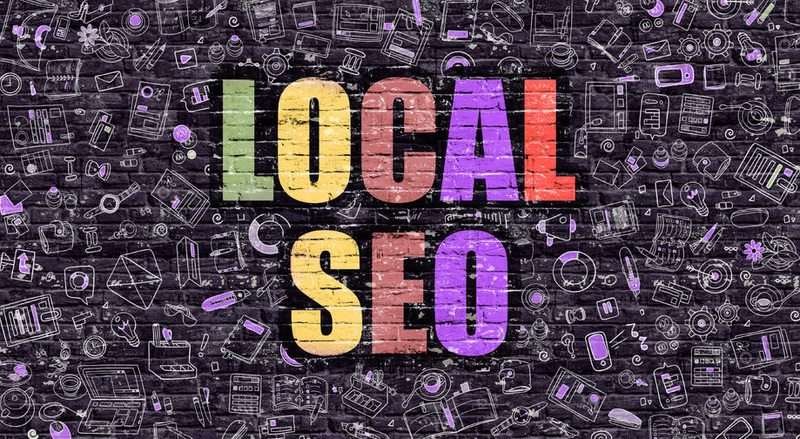 Implementing these sound SEO strategies will boost your visibility in your local area while still shining a light on your operations from anywhere in the world. Purple Pig is a Web Design & SEO Company with headquarters in Kelowna, BC. We serve businesses all over British Columbia and the globe with personalized service for companies of all sizes. Contact us today to start working on effective content marketing strategies to increase the presence of your business online.